With its scented jasmine-like flowers, Trachelospermum is often known as star jasmine. Its evergreen foliage makes it an excellent climber for a sunny, sheltered spot in mild regions of the UK. Elsewhere, it can be grown under cover of a greenhouse or conservatory. Trachelospermum thrives in very free draining soils of moderate to high fertility. It prefers neutral to alkaline soil conditions, but will grow in slightly acid soils. Full sun or dappled shade is required, with shelter from cold, drying winds. A south, south-west or west-facing wall would be ideal. When growing in a south-facing conservatory or glasshouse, shade from direct sunlight may be needed to protect the leaves from sun scorch. Trachelospermum can be grown in a container in John Innes No 3 potting compost, or in a good quality multipurpose or peat-free compost. Water plants freely during the growing season (especially container grown specimens) to ensure that they don’t dry out. Water only sparingly during the winter, allowing the surface of the compost to dry out between waterings. Top dress garden specimens with a general fertiliser such as Growmore, Vitax Q4 or blood fish and bone using the application dose on the packet (or 50-70g per sq m (1½-2oz per sq yd) if no dose given). 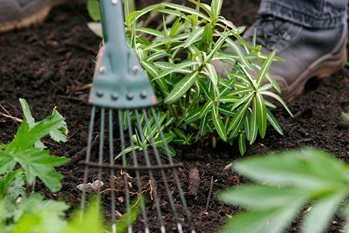 For a step-by-step guide to training against a fence or wall, see our page on pruning and training climbers on first planting. Beyond this initial planting and training, Trachelospermum requires little formative pruning and training, as it is a self-clinging, twining climber and will cover the space effectively on its own. Young growth will need some guiding and tying-in to supports until it is able to twine and climb. After that, it can be left to scramble upwards, mound up and then arch downwards with a cascade of flowering shoots. Maintenance pruning is done is spring, and consists simply of thinning out congested, weak or badly placed shoots. Wayward branches can be tied back to their supports to improve the shape of the plant. Renovation, if necessary, consists of cutting all shoots back by two thirds, to a side shoot or flowering spur. This should encourage new shoots to break from the remaining branches and from the base. Some thinning of new shoots may be required. Trachelospermum can be propagated by layering in spring, and also from semi-ripe cuttings in summer and autumn. Cuttings root better if given bottom heat of 15-20°C (59-68°F) in a heated propagating case. Fruit and seed are rarely produced in the UK, where summers are shorter and cooler than in the plant’s native regions of Asia, so seed propagation is not usually possible. T. asiaticum ‘Goshiki’: Green, white and pink mottled leaves. T. jasminoides ‘Variegatum’: Leaves with a creamy-white margin. T. jasminoides ‘Wilsonii’: White veined leaves that turn crimson in autumn. Trachelospermum is usually trouble-free. When grown under glass, it may be susceptible to common glasshouse pests such as red spider mite, whitefly, scale insect and mealybug. This slightly tender plant is liable to leaf scorch and cultivation problems during spells of cold weather or when growing conditions are less than ideal. In heavy, damp or clay soils, or in soils with a fluctuating water table, Trachelospermum may be susceptible to Phytophthora root rots.